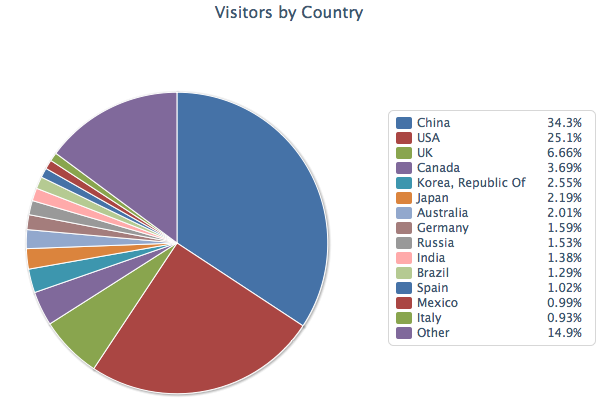 So basically, China has taken over as the number 1 country downloading our material. This happened once before, when Apple featured a different collection of ours, Model Organisms in Biomedical Research. It seems that people using iTunes U in China really respond to what is displayed on the front page of iTunes U. 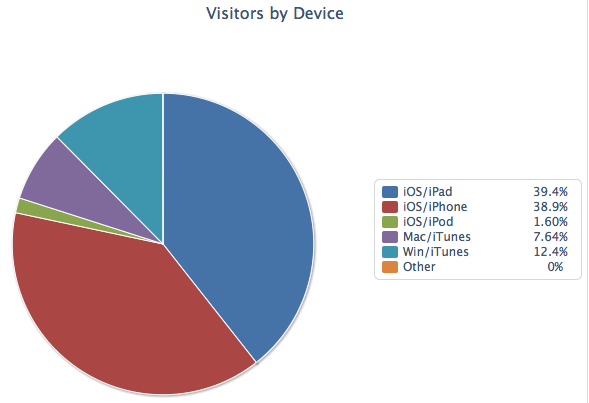 The above breakdown of what devices people are using to download our iTunes U materials is very interesting. The last time we had a featured collection, the majority of downloads was to Windows computers running iTunes. Today, it’s dominated by iPads and iPhones. Last year, Apple included China as one of the countries receiving early shipments of iPad Air and both models of iPhone 5, and has been working hard to prioritise China in its plans for the future. I am idealistic enough to believe that higher education is not quite the same sort of consumer product as iPads. But it is good to be able to see what people in other countries such as China are enjoying of our learning material, and hopefully this can inform future developments.